On this episode of Rigged, Mike Portnoy, Billy Sheehan and Derek Sherinian of Sons of Apollo take us through their live setup. The Line 6 Helix is just one of the many gadgets that makes an appearance in their rigs. There’s definitely something for everyone here. If you decide to make the rounds at the European festival circuit, make sure to check out Sons of Apollo and their wicked live rigs! 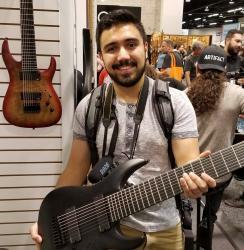 This Gear Demigod majored in Communications and Media and minored in Sound Design at DePaul and is currently looking for a tuning lower than drop Q.